You’re an astronaut bound for Mars, a dusty and barren planet with an atmosphere composed almost entirely of carbon dioxide that on a good day is 139,808,518 miles from Earth, a stone’s throw from a galactic perspective but a nine-month trip for you and your crewmates. As your spacecraft—perhaps it’s NASA’s Orion crew vehicle or SpaceX’s Big Falcon Rocket or a variation of Boeing’s Starliner—hurtles away from home, communication becomes increasingly delayed. At first the lag is only a few seconds, but as the weeks go by, real-time communication becomes impossible. Depending on the relative position of Earth and Mars as they orbit around the Sun, the delay by the time you reach Mars could exceed 20 minutes, creating 40-minutes of silence in a two-way conversation. Incredibly, the 3 to 22 minutes it takes—again, depending on the positions of the planets—for information to travel from Earth to Mars at the speed of light is nothing compared to the 4 days it took a message to travel from New York City to Washington DC at the speed of stagecoach in 1800. Although our communications capabilities have evolved greatly in the last 200 years, it’s operationally and psychologically critical to continue searching for new ways to achieve reliable communication between explorers and our pale blue dot. A study conducted by NASA on the International Space Station in 2014, for example, found that even a 50-second delay frustrated crewmembers and that real-time communication improves both performance and morale. Yet, the time delay isn’t the only communications challenge you’ll face on the journey to Mars. Another is the quality of the signal you receive. The radio waves that currently carry wireless transmissions—including your WiFi signal—aren’t very data efficient and lose strength over distance due to their longer wavelengths. That’s why NASA is investing heavily in laser communications research. Lasers operate on shorter wavelengths, allowing for more data per wave and superior signal fidelity. They also require smaller transmitters and receivers and use less energy than radio technologies. One day, these laser communications systems could theoretically enable HD video to be streamed between Earth and Mars. NASA has beefed up a process of traffic monitoring, communication and maneuver planning to ensure that Mars orbiters do not approach each other too closely. Last year’s addition of two new spacecraft orbiting Mars brought the census of active Mars orbiters to five, the most ever. 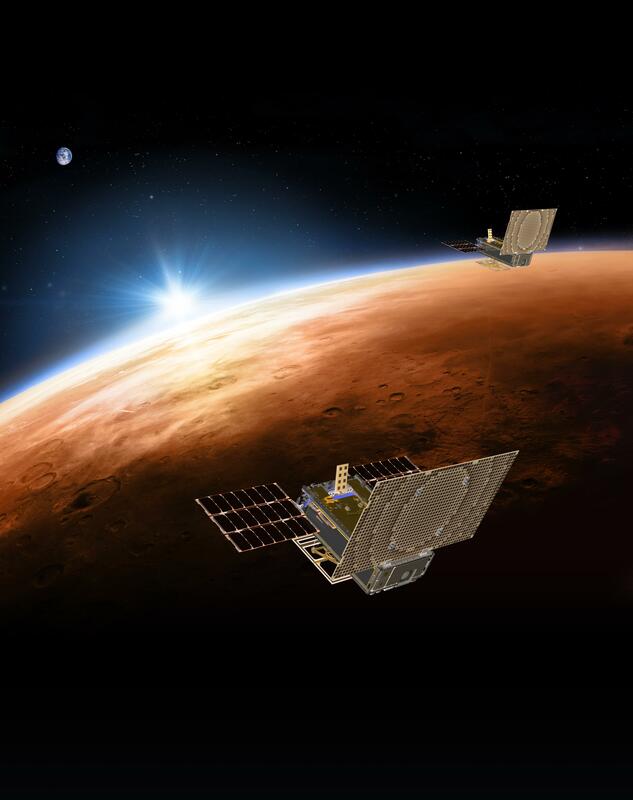 NASA’s Mars Atmosphere and Volatile Evolution (MAVEN) and India’s Mars Orbiter Mission joined the 2003 Mars Express from ESA (the European Space Agency) and two from NASA: the 2001 Mars Odyssey and the 2006 Mars Reconnaissance Orbiter (MRO). The newly enhanced collision-avoidance process also tracks the approximate location of NASA’s Mars Global Surveyor, a 1997 orbiter that is no longer working. The Mars Exploration Family Portrait shows every dedicated spacecraft mission to Mars, and now includes India’s Mars Orbiter Mission and NASA’s MAVEN. The dates listed are for launch. Lockheed Martin Space Systems is expected to land a $500 million contract to build the Mars Telecommunication Orbiter, said Roger Gibbs, MTO project manager at JPL in Pasadena, California. The MTO is intended by NASA to pioneer the use of lasers in planet-to-planet communication; the intended launch date will be sometime in 2009. The Mars Telecommunication Orbiter will be the first interplanetary spacecraft whose main mission is to provide communications services to other missions. It will orbit Mars at a higher altitude than most orbiters, about 2,800 miles above the Martian surface. This will provide an enhanced line of site to Earth. The spacecraft will communicate with Earth via two radio bands and a new optical communications terminal, which will demonstrate the use of a near-infrared laser beam for interplanetary communications. Researchers will announce some of the latest breakthroughs and innovations in optics-based communications at OFC/NFOEC 2005-a joining together of two leading meetings in the optical communications community. OFC/NFOEC (Optical Fiber Communication Conference and Exposition/National Fiber Optic Engineers Conference) will take place at the Anaheim Convention Center between March 6 and 11, 2005. Work is underway to establish the first interplanetary laser communication link. The $300 million NASA experiment, if successful, will connect robotic spacecraft at Mars with scientists back on Earth via a beam of light traveling some 300 million kilometers. For scientists eager to download bandwidth-intensive imagery and other data collected by planetary orbiters, probes and landers, the laser communications would offer a dramatic breakthrough in the amounts of information spacecraft can reliably transmit back to Earth.